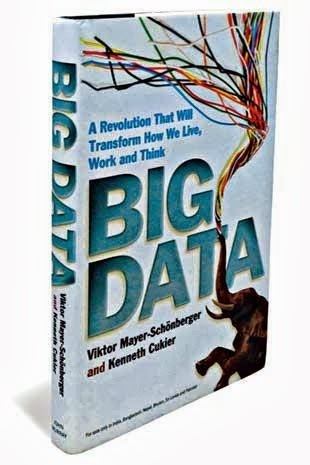 Following two examples have been taken from the book by Viktor Mayer-Schönberger and Kenneth Cukier titled Big Data: A Revolution That Will Transform How We Live, Work and Think. It is a great book and worth a quick read. Companies that have failed to appreciate the importance of data’s reuse have learned their lesson the hard way. For example, in Amazon’s early days it signed a deal with AOL to run the technology behind AOL’s e-commerce site. To most people, it looked like an ordinary outsourcing deal. But what really interested Amazon, explains Andreas Weigend, Amazon’s former chief scientist, was getting hold of data on what AOL users were looking at and buying, which would improve the performance of its recommendation engine. Poor AOL never realized this. It only saw the data’s value in terms of its primary purpose—sales. Or take the case of Google’s entry into speech recognition with GOOG-411 for local search listings, which ran from 2007 to 2010. Google didn’t have its own speech-recognition technology so needed to license it. It reached an agreement with Nuance, the leader in the field, which was thrilled to have landed such a prized client. But Nuance was then a big-data dunderhead: the contract didn’t specify who got to retain the voice-translation records, and Google kept them for itself. Analyzing the data lets one score the probability that a given digitized snippet of voice corresponds to a specific word. This is essential for improving speech-recognition technology or creating a new service altogether. At the time Nuance perceived itself as in the business of software licensing, not data crunching. As soon as it recognized its error, it began striking deals with mobile operators and handset manufacturers to use its speech-recognition service—so that it could gather up the data.